Christians in Context: from orthodoxy to orthopraxy. 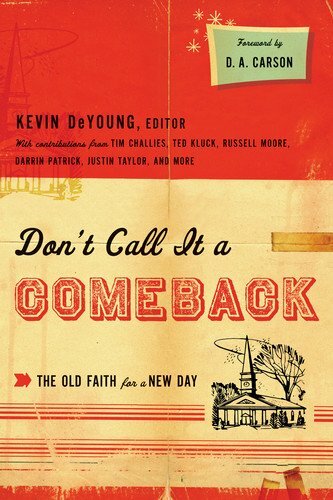 : Book Review: Don't Call It a Comeback, Kevin DeYoung, ed. Book Review: Don't Call It a Comeback, Kevin DeYoung, ed. I've read quite a few books in the past year with multiple contributing authors, but none of them have read with the clarity and consistency of Don't Call It a Comeback. Perhaps it is due to the shared commonality of the authors: a rising generation of evangelical and reformed thinkers (and more than a few bloggers) shaped by the likes of Piper and Carson. But what ever the cause, the result is a book that is cogent, consistent, and a joy to read. The first section is a brief two-chapter introduction to evangelicalism, and section two has all the perennial topics you would expect (God, Scripture, the gospel, Jesus Christ). But section three really shows why this book is "The old faith for a new day". In "Part 3: Evangelical Practice" the authors (Kevin DeYoung and Justin Taylor, e.g.) address such topics as homosexuality, abortion, gender confusion, and social justice. While the chapter on missions was as fitting an ending as any, my one complaint is that the book ended awkwardly without a summary or epilogue. Lacking such a tidy conclusion, the book seems to halt abruptly. 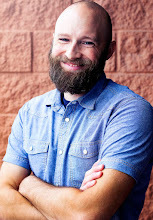 "to introduce young Christians, new Christians, and underdisciplined Christians to the most important articles of our faith and what it looks like to live out this faith in real life." Not bad for a bunch of pastor/bloggers. Westminster Bookstore has Don't Call It a Comeback for 33% off retail ($11.38). Recommended for: "young Christians, new Christians, and underdisciplined Christians"